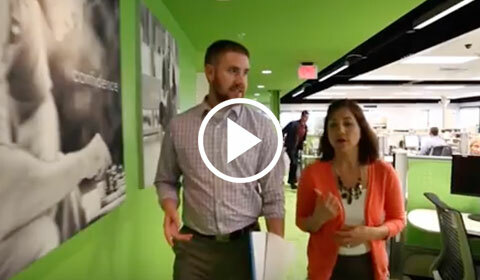 Build a Career at TD Ameritrade. What if you could join a team that’s not only committed to delivering a world-class client experience, but also dedicated to creating career opportunities for its employees? With TD Ameritrade’s Investor Services group that’s exactly what you get. All of our new employees are given the tools and training they need to be successful – both with our clients and on their career journey. Worried that you don’t have a financial services background? Don’t be. Our employees come from diverse backgrounds – healthcare, military, insurance, IT and more. The thing they all have in common? A shared belief in delivering a superior client experience, and a desire to learn and grow with the company. Our paid licensing and training program is designed to teach you about the industry, and equip you with the knowledge you’ll need to earn your required licenses. The training and experience you’ll receive can also put you in a great position for future opportunities. Investor Services is a gateway into TD Ameritrade, with many of our employees moving on to take on greater responsibility in numerous roles across the company. Our employees have gone on to work in Sales, Operations, Marketing, Communications, and Institutional, just to name a few. We also offer a management development program, designed to teach the skills our employees need to lead. In fact, many of our managers and leaders today started right here, in a Financial Services position on our Investor Services team. You’ll also work in a fun environment where employees treat one another like family and where our Core Values of People Matter, Integrity First, Work Together, Strive to Win, and Client Centric are visible in all that we do. If you’re ready to join a team that is focused on doing the right thing for each other, our clients and our shareholders, Apply today and begin your journey with us. Meet our Managing Director of Investor Services, Judy Ricketts. Every day is an adventure. After completing our paid training program you will have the opportunity to build an exciting career at TD Ameritrade. These employees want to tell you why TD Ameritrade has the culture that empowers our employees to be successful today and tomorrow. Imagine the possibilities… Our Financial Services Representatives strive to deliver a superior client experience with every client interaction. 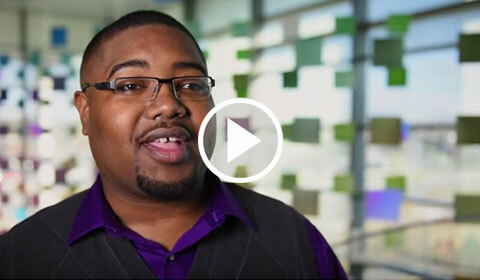 Check out LaThomas’s story and start your application today so you can create your story at TD Ameritrade.